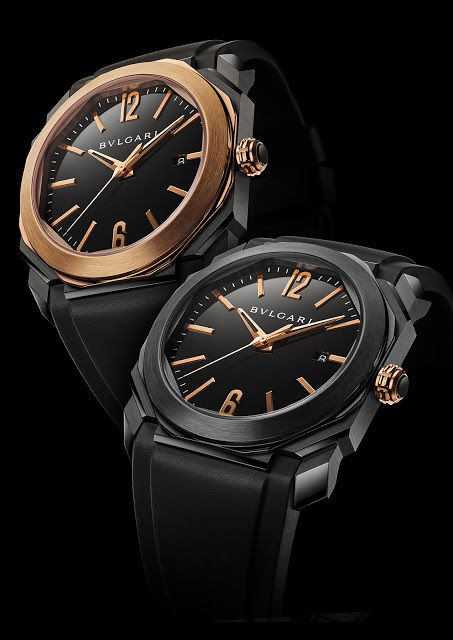 Bulgari has given its Octo an all-black makeover with the Ultranero, featuring a black DLC coating on the case with pink gold accents. It’ll be unveiled at Baselworld 2016, but here’s a sneak peek at the Ultranero line-up, including prices. 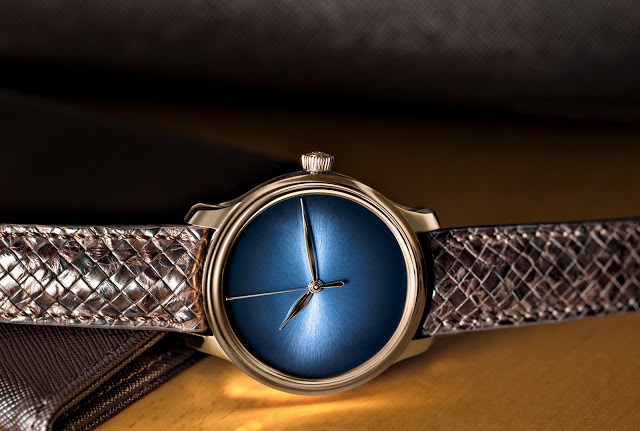 Angular and octagonal, the Octo is a distinctive case shape Bulgari inherited from Gerald Genta, the independent watchmaker it acquired in 1999. 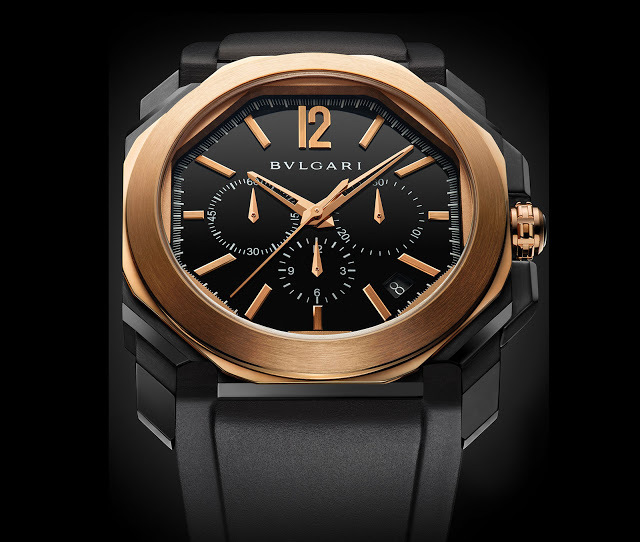 Bulgari has now made the Octo its own. Slated to be officially launched at Baselworld 2016, the latest iteration of the Octo is the Ultranero in black diamond-like carbon (DLC). 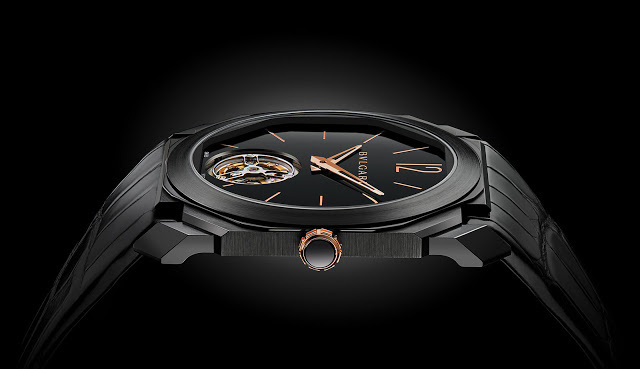 The Ultranero combines black DLC with pink gold, a contrasting combination that is popular and widely employed. 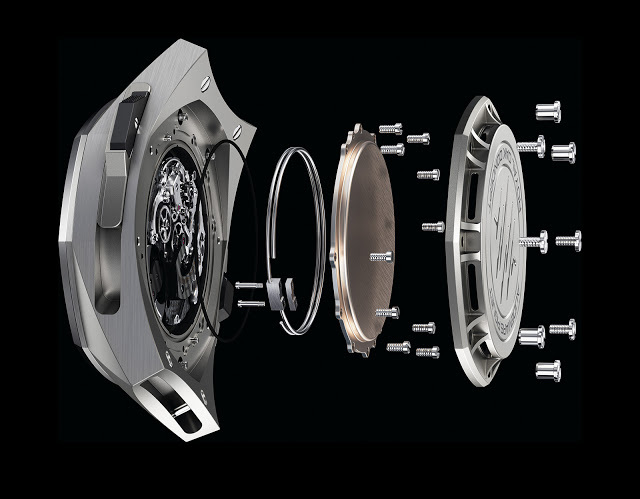 Three models are available, the ultra-thin Finissimo Tourbillon, Velocissimo chronograph and the time-only Solotempo. 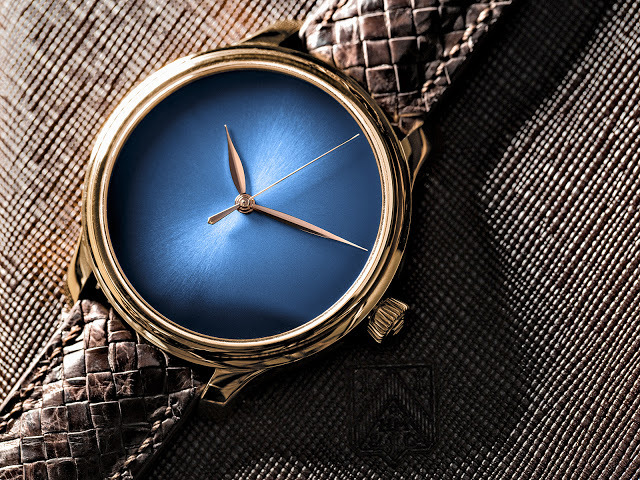 Just 5 mm high, the Finissimo Tourbillon is one of the thinnest ever. 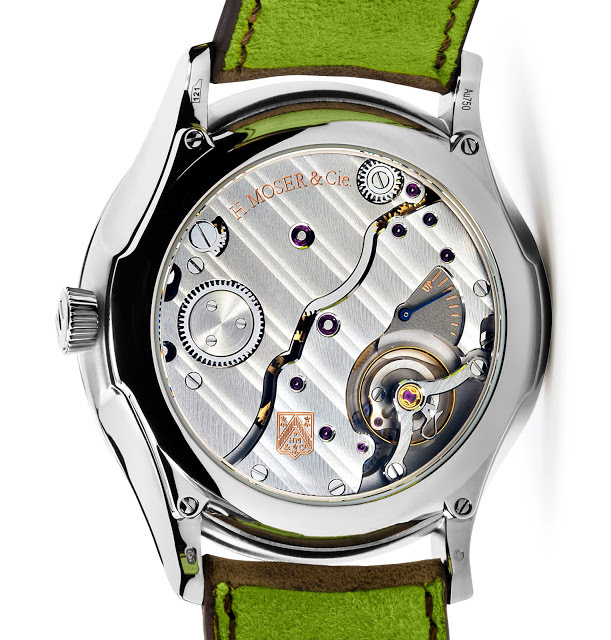 The 40 mm titanium case is lightweight, and inside is the in-house BVL 268 movement, hand-wound with a flying tourbillon. 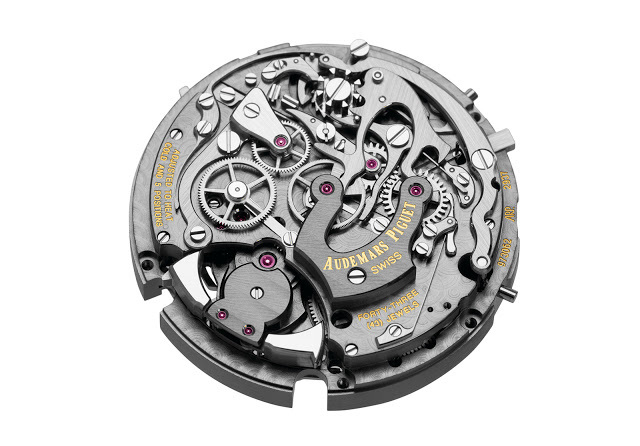 The Velocissimo, on the other hand, is equipped with the Zenith El Primero automatic chronograph movement. 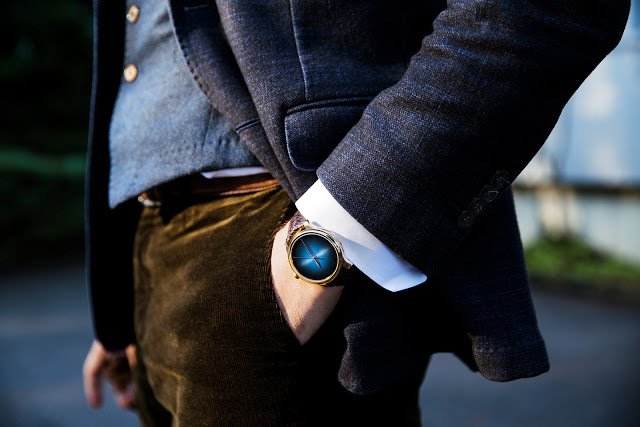 It’s 41 mm in diameter and in steel, with a pink gold bezel. This is priced at SFr13,200. 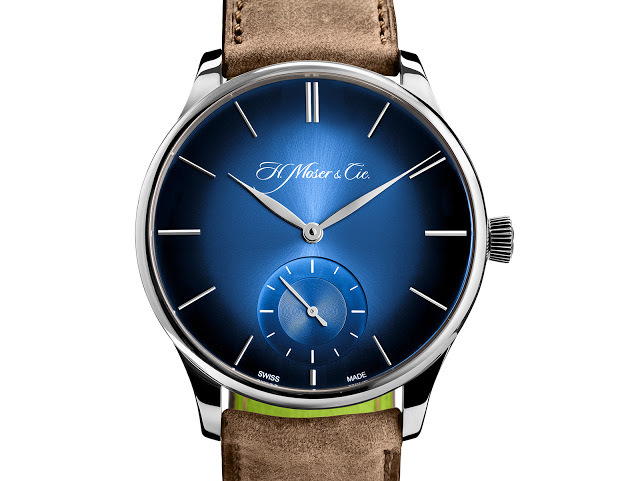 The simplest model is the Solotempo, also 41 mm and steel, but offered in two guises, with a pink gold bezel or a matching black DLC steel bezel. 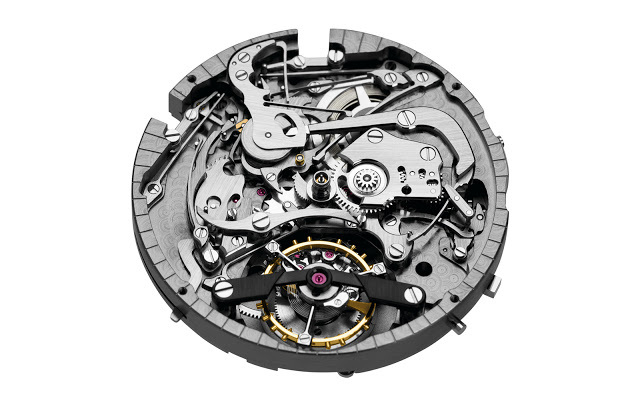 Both are powered by the BVL 193 automatic movement. 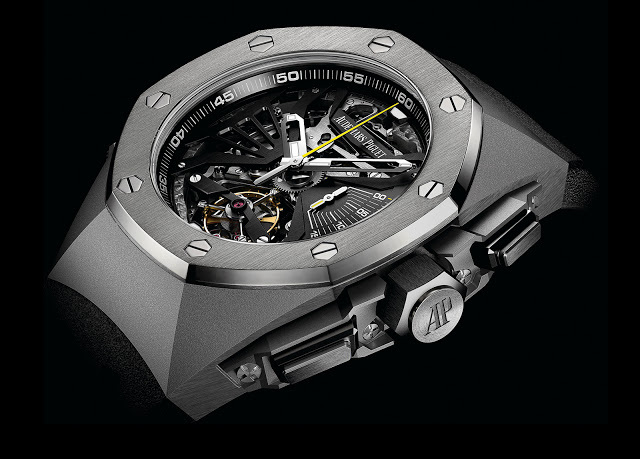 The gold bezel version is SFr10,500, while the all steel model is SFr7950. 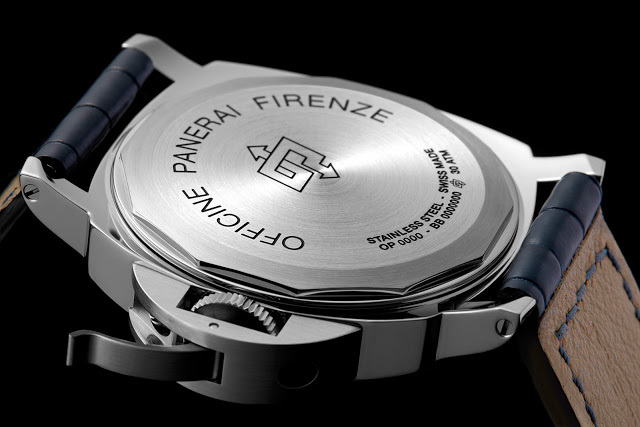 Just two years after the last two-piece Slytech reissue set, Panerai has once again turned to its most desirable timepieces of the 1990s for inspiration. 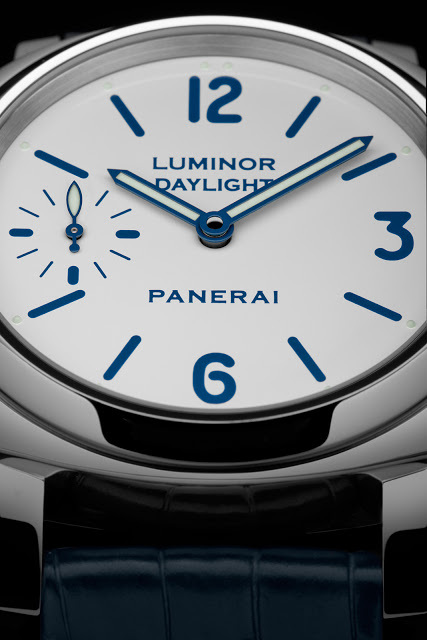 Based on timepieces made for actor Sylvester Stallone – hence the Slytech nickname – the Luminor 8 Days Set PAM786 consists of two wristwatches, including an unusual white dial Luminor with blue hour markers and hands. 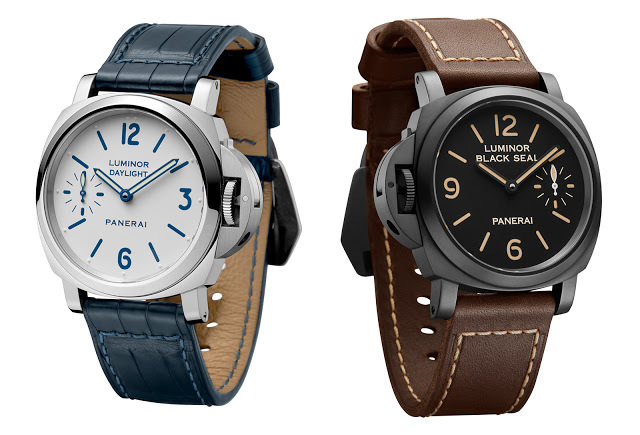 While both watches in the set are 44 mm Luminor watches, each is sharply different from the other. The Luminor Daylight 8 Days (PAM650) is modelled on a 1996 wristwatch made for Stallone’s role in tunnel collapse film Daylight, but one that never got past the prototype stage. 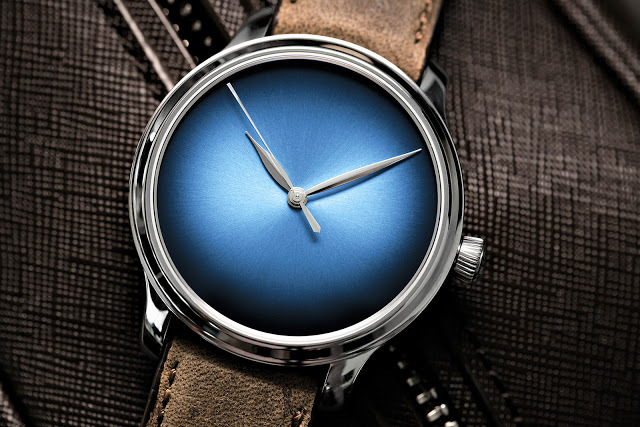 Only a handful of watches were made with blue hands and markers, a feature that has been reproduced with the new Luminor Daylight 8 Days. 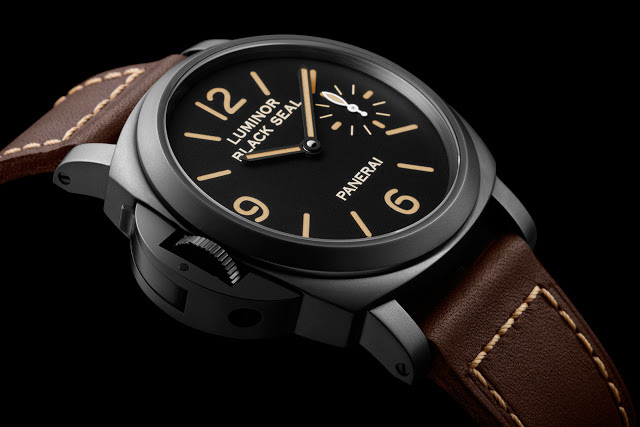 The second watch in the set is the Luminor Black Seal Left-Handed 8 Days (PAM649). This Luminor desert (Italian for “right-hand”) has its crown on the left of the case, having been designed to be worn on the right hand. 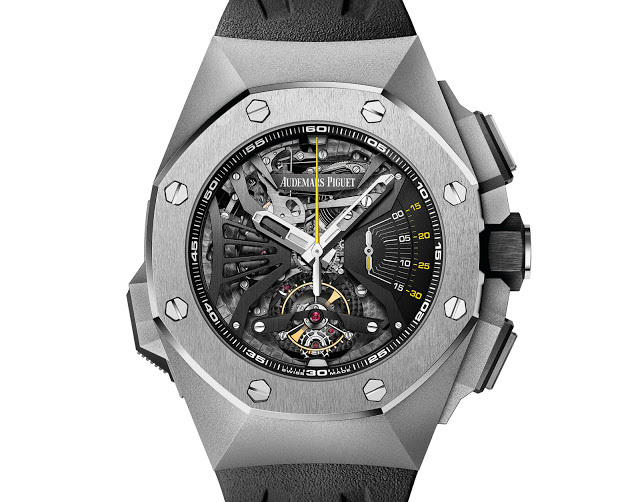 The steel case has been coated with diamond-like carbon (DLC), given it a black finish. 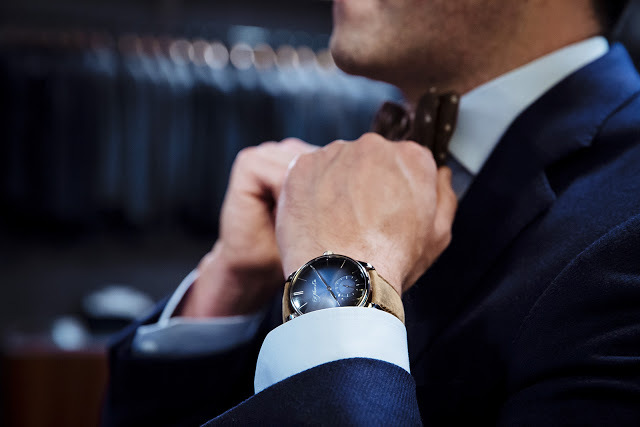 Though both watches in the set are inspired by 20 year old timepieces, both are equipped with the modern day P.5000 movement. 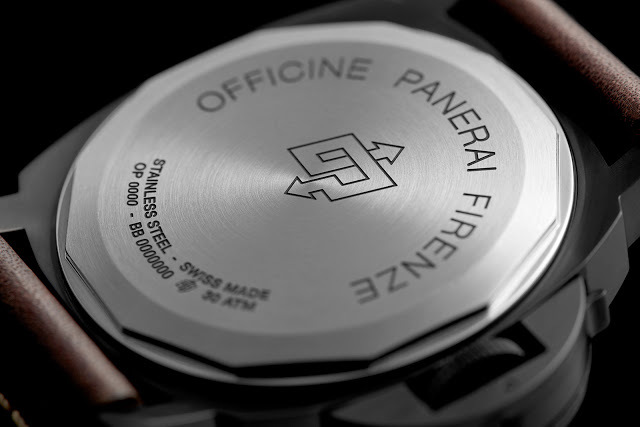 Made in-house by Panerai, the P.5000 is hand-wound with an eight day power reserve. 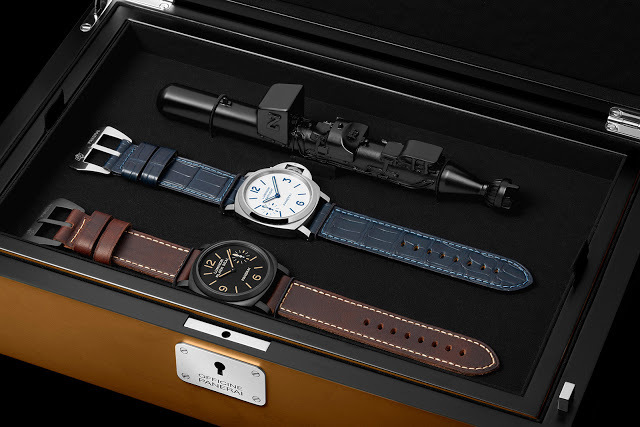 The PAM786 set comes in a large pear wood box with various accessories, including spare straps and a scale model of the submersibles used by Italian navy frogmen during the Second World War.